Is the PS3 Slim Better for watching Blu-ray discs? In a recent hardware review, the folks over an Engadgetdid a great deal of studies on the PS3 Slim’s performance, and in most cases it out performed the older ‘fat’ PS3. For those buying PS3s primarily for Blu-ray though, there’s a bit of a conundrum. 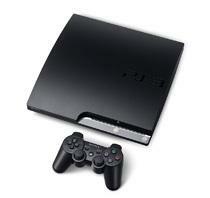 Over a series of tests, the PS3 Slim outperformed the older model except for one: Blu-ray load speed. Starting a Blu-ray movie took an average of five seconds longer on the PS3 Slim than on the standard model. The difference was as low as two seconds for “Air Force One” and as high as ten seconds for “The Nightmare Before Christmas”. Of course, the PS3 Slim does do one thing the standard model doesn’t that should make home theater enthusiasts think twice about it. Sony’s new system is able to bitstream lossless TrueHD and DTS-HD MA audio, making it the better choice for those with higher end audio requirements.